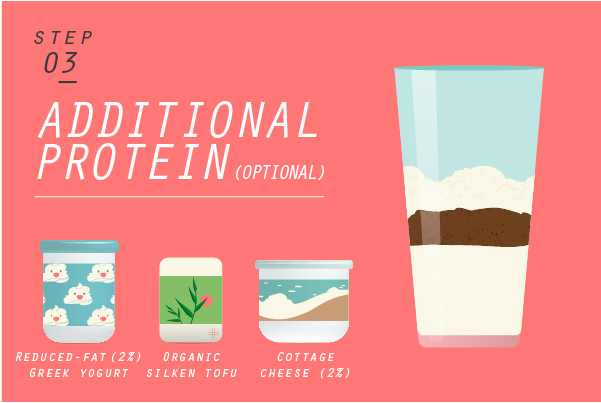 There’s something about a healthy, well-made shake that’s so… satisfying. But the “perfect shake” means different things to different people: For some, the perfect shake is just water, ice, and a few basic ingredients. For others, it may be an elaborate combination of fruits, veggies, nut butters, and add-ins like chia seeds, spices, and toasted coconut. Whatever your shake jam is, it’s important to make sure you’re putting in healthy ingredients in the right amounts that help fuel your body. Here on the Beachbody Blog, we’ve got hundreds of delicious Shakeology recipes, but we get it, sometimes you just want to improvise. 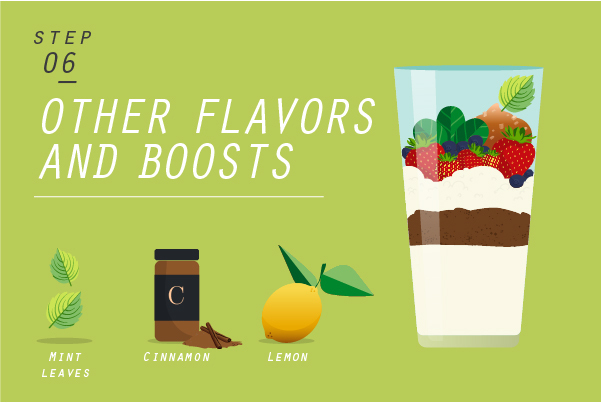 So, to help you get your creative blending juices going, we created this Shakeology recipe template to help you make your best shake. Print it out, stick it on the fridge, or Pin it! Pro tip: The “too much of a good thing” struggle is real — don’t forget to keep an eye on portion sizes. Making a healthy shake is not a free pass to toss the contents of your fridge in a blender. Your choice of a base will determine how thick or thin your shake will be. If you prefer a thinner shake, stick with plain water or coconut water. This step is super easy: Just add in a scoop of your favorite Shakeology flavor! 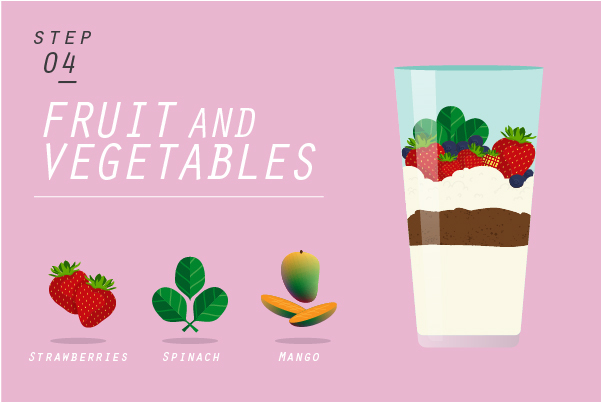 Fruits and vegetables are a great way to add heft to your smoothie without adding a bunch of calories. You can use fresh or frozen fruit; frozen fruit adds thickness as well as making your shake extra frosty! If you’re not a huge fan of vegetables or you don’t have access to fresh greens, a supplement like Power Greens is a great option. 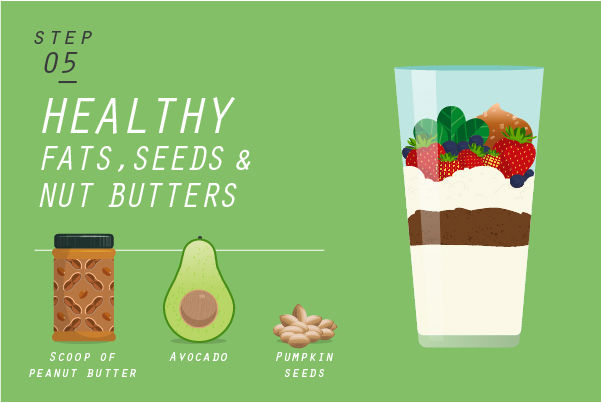 Healthy fats are a key part of a great shake. Along with protein and fiber, healthy fats can help you stay fuller longer. Keeping your portions in check for this step is important because a healthy shake or smoothie bowl can easily turn into a calorie bomb if you don’t. There are several options for nut butters, but make sure to check the label: The fewer the ingredients, the better. The only ingredients that should be in a nut butter are the nuts — and perhaps a little salt. Seed “butters” (all varieties). Fun fact: Sunflower “butter” is a spread made from sunflower seeds. PB2, or powdered peanut butter. Peanut powder is made when roasted peanuts are stripped of their oils and the remaining nuts are ground into a fine powder. 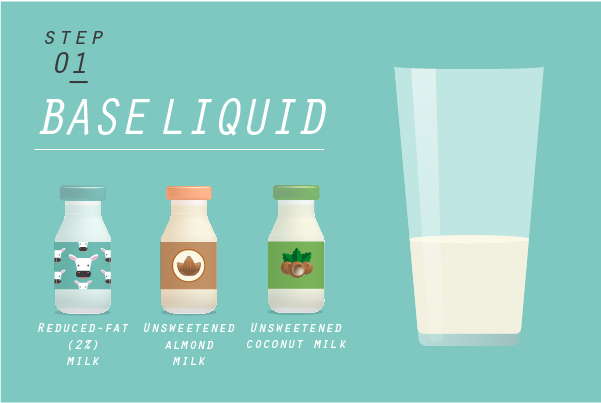 The result: Two tablespoons contains 45 calories, one gram of fat, four grams of protein, and six grams of carbohydrates (depending on the brand). For this step, you can add any herbs or spices that appeal to your tastebuds. 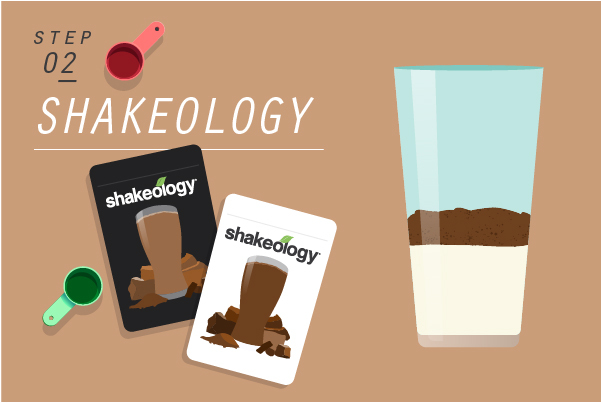 If you’re stumped on where to start, check out these top Shakeology recipes from the Beachbody Blog. Then, once you have those down, start making your own variations or create something completely new! †Each 5g serving of concentrated powder provides the equivalent of 1 cup green vegetables (volume before drying).